This forecast was published 03/28/2019 at 7:05 AM. 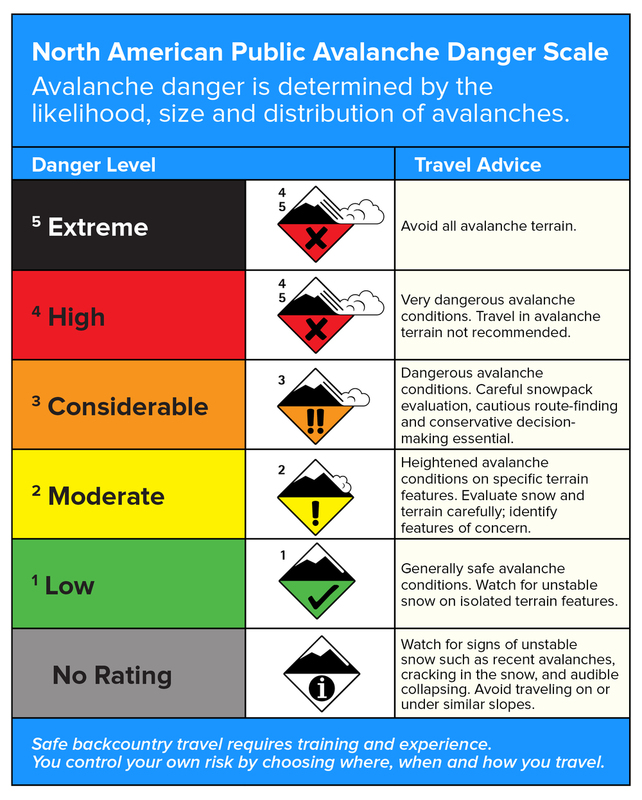 This is an archived avalanche forecast and expired on 03/28/2019 at midnight. 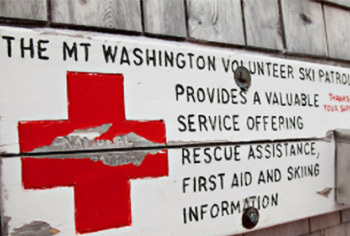 We are starting the day with LOW avalanche danger in all forecast areas. Generally unreactive wind slabs in the terrain have had time to settle and strengthen but will be subjected to some heating today. Cold, dry, chalky slabs on shady mid elevation slopes may survive the warm-up today but sunny aspects are likely to soften in the sun this morning. Remember that softening of a firm wind slab equals weakening so keep your guard up and manage your exposure to this hazard. 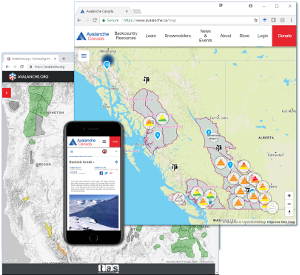 As this heating occurs, the potential to trigger a larger slab may push the avalanche danger to MODERATE on sunny or warm aspects and elevations. Temperatures rose yesterday in the full sunshine to above the freezing mark at Ravine elevations. The air temperature on the summit reached a high of 18F by late afternoon where it remained overnight and will rise further to the mid-20s today. 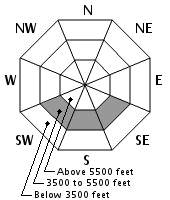 The current temperature at Gray Knob is 24F, at Harvard Cabin, 30F with 28F at 4,000’ on the Auto Road. Expect partly cloudy skies by noon to increase in coverage through the day. 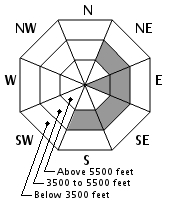 Summit wind is currently from the west-southwest at around 40 mph which will shift a bit to the west and increase slowly through the day, reaching the 40-55 mph range by nightfall as clouds fill the sky. Light precipitation arrives tonight with an inch of snow up high and rain at lower elevations. The two main wind slab types in avalanche terrain will be subjected to limited warming today. 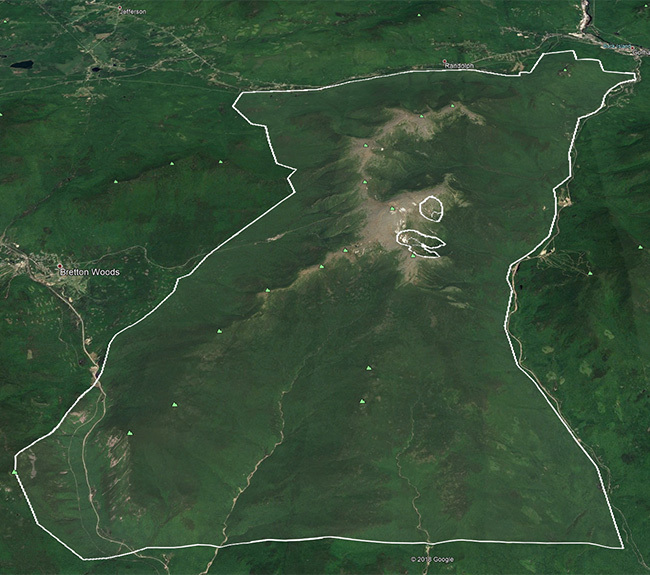 Softer wind slabs will respond first to any warming that occurs today though these slabs are isolated. Firmer wind slabs may soften a bit further than yesterday on the surface which could weaken their bridging power over any lingering weak layer. Human-triggering of these slabs hinges on the degree of warming that occurs today. Lower elevation slopes have been heated already this week and don’t contain much other than small, unreactive slabs on otherwise mostly refrozen snow. Temperatures will push above freezing quickly this morning. Webster cliff gullies with enough snow in them could have this problem. Loose wet activity on larger mid elevation slopes and gullies should be easily manageable. Instability caused by warming can occur quickly. Competing weather factors today make pinning down the rate of warming difficult. Increasing cloud cover can provide shade on a slope but can also reflect enough radiation to create a greenhouse effect if the cloud cover is thin. The prevailing opinion among forecasters this morning is that heating won’t be enough to wet the slabs to create a wet avalanche problem but the limited warming that we will see today is enough to raise doubts about the reliability of large slabs that remain in the terrain following last weekend’s avalanche cycle. The areas of most concern for this to occur would be in the hangfire in Sluice and Lip in Tuckerman Ravine as well as in Oakes Gulf or similar slopes. 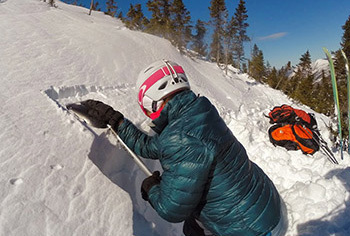 Though it’s a remote risk, it pays to increase your margin by limiting your time spent on or under these slopes…booting up a lower angle or shady line will reduce your chance of triggering the slope even further. Posted 03/28/2019 at 7:05 AM.